With idyllic rice paddies, surrounding mountains, a picturesque lake, historic structures, and a rich blend of cultures, it’s not surprising that Yunnan province’s Dali has emerged as a travel hotspot in China. While this has attracted the typical influx of eager developers hoping to cash in on the tourist spending windfall, Dali and its surrounding area is also one of the most prominent sites in the country for a new approach to tourism focused on historic preservation and sustainability. At the forefront of this small but growing tourism industry revolution is an American named Brian Linden, who has gained praise both in China and the United States for the Linden Centre that he and his wife opened in 2009 in the historic village of Xizhou outside Dali. Built in 1947 with the architectural style of the Bai ethnic minority that lives in the area, the courtyard compound now houses a boutique hotel after an extensive restoration process that the Lindens began a decade ago. Designated as a “Class A” historical relic, the site features original artwork, architecture, and carvings, as well as antiques from the surrounding area and traditional gardens. The project is a far cry from the rapid development that’s happening in the rest of the area, which includes a massive number of new hotels being built around the perimeter of the area’s famous Erhai Lake, turning much of it into a construction zone. As China’s domestic tourism industry has taken off, there has been a building spree at tourism sites across the country that tends to focus on the flashy and new rather than preserving the old. Linden disagrees with this approach. “Having lived in China off and on since 1984, we have watched with great pride China develop into a thriving economic power and increasingly civil society. However, we have also seen China ravaged by egregious business practices, short-term planning, and a general pernicious pursuit of profit at the expense of China’s tangible and intangible cultural resources,” he says. A former CBS cameraman in China, Linden started an Asian arts and antiques business with his wife in the 90s, which he still runs through the Linden Gallery in Door County, Wisconsin. He and his wife found the Xizhou property in 2005 while traveling in China, and were allowed by the government to sign a 20-year lease for the property in 2007. Rather than calling the property a “hotel,” Linden emphasizes that it’s more of a cultural center. In addition to typical amenities such as a restaurant, bar, gym, and event space, the center offers guided tours of both the property and surrounding area and frequently hosts special guest lectures as well as a scholar-in-residence program. While the price is one of the most expensive in the area, the center aims to emphasize experience and heritage rather than branding itself as a “luxury” property—it intentionally doesn’t have TV sets in the rooms, for example, in order to encourage people to go out and explore. He says that right now, China’s travel industry favors “the short-term profit motives of outside businessmen eager to hastily exploit tourism opportunities.” For example, “90 percent of hotels were illegal as of 2015 in Dali,” says Linden. “Most of these hotels are started by outsiders who want to play in Dali for a few years and reap profit in as short of time as possible. They pose unfair competition to companies like ours who do everything legally.” He says that problems include makeshift septic tanks, inadequate fire safety, tax evasion, and few locals on staff. Despite the challenges, restoration of historical sites by private businesses has been a growing trend in China. 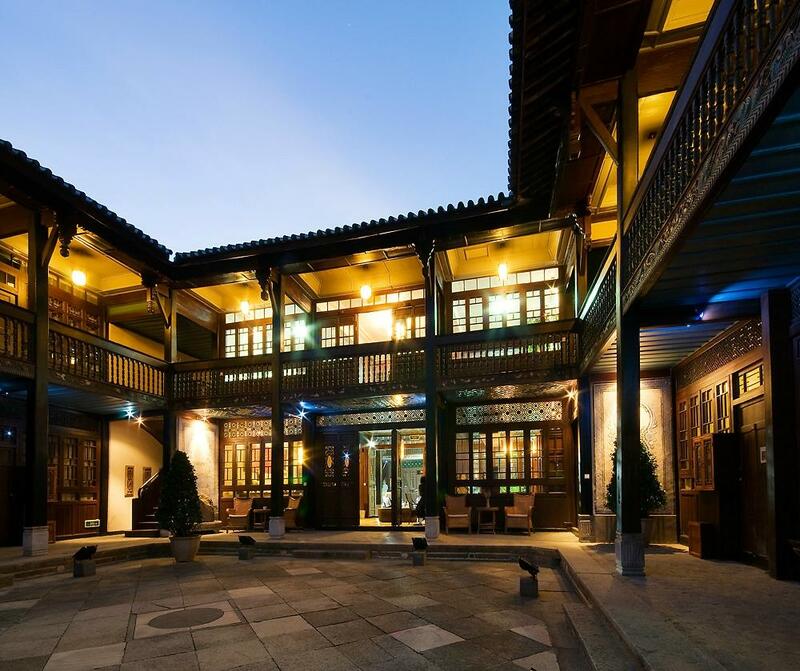 With a preservation program that includes 100 historic sites, the Bai architecture of Xizhou has inspired other similar projects, such as the Sky Valley Heritage Boutique Hotel, which is also located in a preserved courtyard home in the village. Historic preservation for boutique hotels has been particularly popular with foreigners across China despite the challenges that come with it. Linden is now on his third preservation project in Xizhou, and is also working on a project in a national park north of Dali, as well as two sites near China’s border with Burma in southern Yunnan. Some of China’s private historic preservation projects have met with more controversy than others—for example, fine dining Temple Restaurant Beijing, which is located in a former Buddhist temple, has received scrutiny in Chinese media over whether it closely enough followed cultural heritage regulations. But private investment in historic buildings often saves them from a state of disrepair, including situations in which their structural integrity can be in danger.